Have you been struggling with facial pain and constant, severe headaches so long that they just feel like another part of your routine? 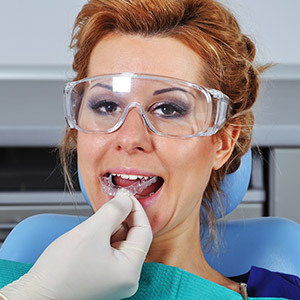 At Jacksonville Complete Dentistry, our team wants you to know something: you don’t have to live like this any longer. It’s likely that you’re a victim of TMJ disorder, which negatively affects the health of your TMJ (temporomandibular) joints. These joints have the important task of connecting your jaw to your skull, and even small malfunctions can result in big, lasting consequences for your wellbeing. Don’t hesitate to contact our doctors today here in Jacksonville for the compassionate and comprehensive assistance you need! 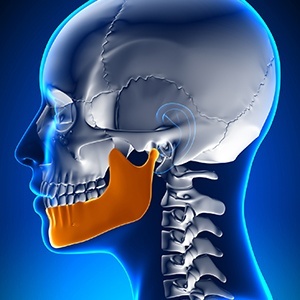 Why Choose Jacksonville Complete Dentistry for TMJ/TMD Therapy? Occlusal splints are the most common form of TMJ therapy. These appliances are similar to a typical nightguard, but there are several different types. Some are meant to simply curb bruxism (teeth grinding), which others create a more comfortable resting position for the patient’s jaw. In some cases, our goal is that the long-term use of the splint will result in permanent improvements for your TMJ health. Occlusal adjustment can become necessary if a misaligned bite is the cause of TMJ disorder. Our doctors can precisely alter certain teeth with the use of restorations or other services so that they meet much more comfortably and don’t place undue pressure on the TMJ joints, resulting in a much more harmonious bite. Botox injections are typically thought of as a cosmetic procedure, but they can actually be used to relieve TMJ-related pain as well! By limiting the movement of certain muscles near the jaw, patients may discover that a lot of their unwanted tension is relieved, and chronic headaches can be eliminated as well with this new technique.